Dictionary definition of ‘Integral’: Essential to completeness; intrinsic to something. The integral approach was initiated through the works of a number of diverse luminaries, including Rudolf Steiner, Sri Aurobindo and Jean Gebser. But perhaps more than anyone it is Ken Wilber who has established 'Integral Theory' as a legitimate area of study through his intellectual genius, his extensive writings and his direct experience of transcendental realms through meditation. Integral Theory is an attempt at a theory of everything. This attempt recognizes that our present level of consciousness is only a partial view and that beyond our horizon are mysteries of the cosmos surpassing our wildest imagination. And why do we need this approach? Q: What are the ‘legitimate’ areas of study and what testimony of human experience is acceptable to an integral framework? A: The answer has to be that all and everything must be considered carefully. Thanks to my own experience, I have been able to include such areas as astrology—which has not, so far, been properly understood by integralists within the movement. Q: What is fundamental, or primary, to existence? A: Like many others, I answer this from a position that states ‘consciousness is causal’. Q: To the best of our consciousness, what is the Big Picture? The developmental view of consciousness, culture and the self presents the most compelling vista of the structure and path towards the planetary stage. 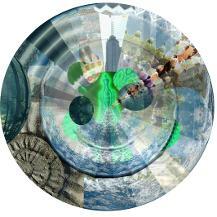 My own integral position recognizes the human species as an integral part of the totality of Earth’s domain. Furthermore, within the totality of the human species, there is a structure based on the expansion of consciousness through a stage-by-stage process. All stages coexist and all are essential for our evolutionary development. For example, an early stage of development such as the primal, instinctive body foundation is still vital to our progression—we still need a body and that body has to survive, even if we are exploring other dimensions of being. The term ‘expansion’ in my model therefore recognizes an increase in complexity of awareness. 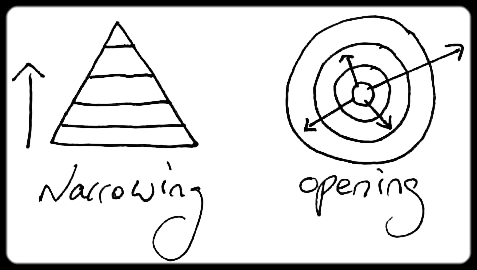 Expansion is radial rather than pyramidal; opening rather than narrowing. ‘Integration’, however, does not truly begin until the level of Pluto Enchantment (aka spiral consciousness), where consciousness itself moves above the flatlands of the previous stages, while still being involved. At the level of Pluto Enchantment, the developmental stage-by-stage process becomes accessible. than the other planets, beyond the boundaries of the ecliptic. Pluto can also see the other planets, not something those lying on the flat plane of the ecliptic can do. 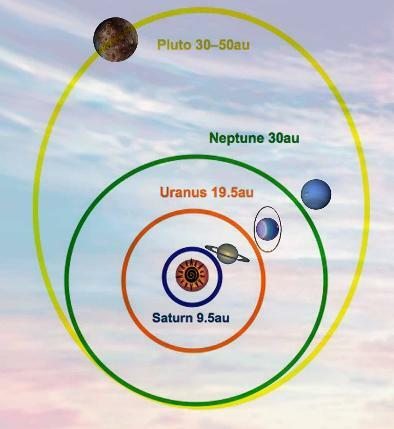 Because Pluto starts to see the whole of the solar system, the consciousness of Pluto Enchantment brings in the understanding of complex living systems—we can now perceive the earlier Enchantments and the system of developmental stages. Pluto’s orbital tilt does indeed correspond with the consciousness that Pluto Enchantment generates. Then, in Chiron Enchantment (aka toroidal consciousness) integration is truly experienced, as consciousness now reconnects more fully with the earlier stages. With Chiron Enchantment the feedback flow of the toriodal energy field is intrinsic to the experience of reality. Chiron unlocks the door that was closed off with Saturn Enchantment. In my schema, the expansion and integration of consciousness are founded upon a deep structure that permeates existence. Existence is holographic. The deep structure of human development is a fractal of the solar system. 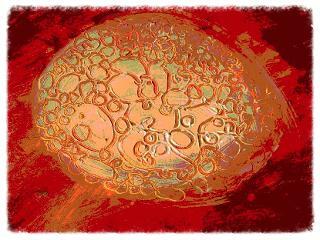 My proposal is that the structure of the solar system itself is intrinsic to the development of human consciousness. The journey of the Sun’s radial energy directly reflects the journey of consciousness. Light—meaning the full spectrum of electromagnetic radiation—is homologous with consciousness.